Monitor technology is increasingly sophisticated, both to support work and gaming or just for personal entertainment. The highest standard monitors currently have a 4K display resolution, these monitors are widely used by professionals and gamers, because the quality is indeed amazing. Then, what is the best 4K monitor on the market? Let’s check out the following reviews. Check our recommendations for the best bluetooth portable speakers! Choosing a new television can be an overwhelming experience, especially when you don’t have any idea about the right TV for you. There are many variation and price, even TV of the same size have a lot of different of the model and plenty of confusing specifications. This could make the buying process difficult, especially when you don’t understand the alien-sounding technologies and hyperbolic claims. Therefore, today, I will give you a simple review about sophisticated television from Samsung called “Samsung U28E590D 28-Inch UHD LED-Lit Monitor with Freesync support”. You can read this simple review to understand this product strength and weakness easily. If you wanted a big-screen UHD LED-Lit Monitor with reasonable price, Samsung U28D590D might be the answer. With this television, you get a good size of the screen with a sharp Ultra High-Definition picture that can be used for any activity and good all-around performance. This television also provides a good gray-scale performance that allows you to watch the image in its true color. However, with reasonable low price, you don’t get as many features as other UHD LED Monitor. 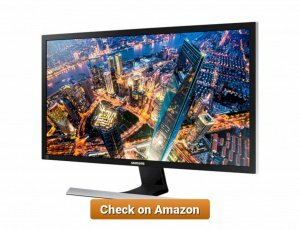 Although Samsung U28D590D doesn’t have a lot of features, this monitor can deliver better job than any decent 4K office monitor and can be used for gaming and home entertainment. The appearance of the U28E590D looks like all Samsung Display product and any other 4K monitors, boxy and have a narrow bezel, elegant and minimalist design. The monitor has a matte coating that keeps glare and non-reflective, make it easy to use this monitor in any angle. While there are no function buttons, you can use the jog button located at the rear of the cabinet to change the setting and turn off this monitor. Using Jog buttons, you can adjust various menu, from a picture menu, magic bright, magic angle, and even gamma setting and color temperature setting. Using aluminum stand, you can tilt the panel to 16 degrees, however, make sure to use two hands to justify the angle. You can’t adjust the height, change the pivot, or swivel this monitor. At the rear, you can find HDMI Input, DisplayPort 1.2, and Headphone Jack. However, there is no High-speed USB 3.0 and DVI port for connectivity. This minimalist design looks good in any place you put it, whether on office or your home. The Samsung U28E590D looks great on 4k Test Image, with sharp Highlight and shadow detail, the color of coming out vibrant. You can use this monitor from any angle without losing the quality of the display. The color comes out vibrant, especially for skin tones that looked natural while watching Blu-ray movie. If you are looking for a great best 4k monitor without spending too much money, the Samsung U28D590D deliver very sharp image and vibrant image without too much issue. However, you won’t get any USB ports, height, and swivel adjustment. Overall, with reasonable price, standard and elegant design, more than enough features, you can get all-around performance monitor for any activity by purchasing this product. If you need to get a brilliant TV for gaming or entertainment purpose or as the centerpiece for your living room, I recommend you get Display LED TV that capable to provide you 4K image. LED TV is more power efficient, provide more vibrant color than any other tv sets and have a slim design, make your living room looks modern and elegant. This time, I will introduce one of the best and affordable LED TV from HP called HP Spectre 32-Inch 4K Studio Display LED-lit Monitor. This big, beautiful, and amazing LED TV are surely needed to be considered, want to know more? Read the rest of this article. HP Spectre 32-inch 4K Studio Display LED-Lit Monitor is affordable LED TV with great size. Great for any purposes, despite its price this television can provide solid 4K viewing experience for your gaming experience or movie viewing experience. Equipped with a lot of features such as ultra-wide viewing, multiple ports, and Mobile high-definition link, HP Spectre 32-inch 4K are versatile for anything. According to HP official website, this television design is called “Blizzard White.” This design is great in most setup, and you can adjust the setting from a button on the rear cabinet. This television is coming with a convenient remote control. You can set anything through remote control and make it easy to use all its features. However, the stand and mounting options do not allow for much movement, all you can do is back tilt. The monitor is very easy to mount, you simply pop out the stand and screw it up to mount this TV. This big Screen TV provides you with dazzling digital cinematography with High Definition 4k resolution. You can expect sharper, clearer, and vibrant color image in 4K resolution full HD for better viewing. HP Spectre also has screen enhancements that make the screen glossy without any glare, and this makes this TV looks gorgeous. This TV LED also has ultra-wide viewing angle up to 178 viewing angles. HP Spectre 32-inch 4k Studio Display has multiple ports, including MHL, HDMI, DisplayPort, USB ports and any other port to allow multi-source picture-in-picture technology. The USB ports also allow you to use keyboard, mouse, or other devices to control and connect to this device. You can connect your smartphone or tablet while charging using USB ports. Another feature is dual Images, a technology that allows you to view separate inputs simultaneously. Deliver vibrant color, have the capability to connect with multiple devices at once, HP Spectre 32-inch also has integrated speakers. Therefore, it could come in handy for you who don’t have any additional speaker for your television. However, you might need better additional speaker if you want to get the best sounds. When I attach HP Spectre 32-inch 4k Studio Display into a Sony PS3 and try to play some high definition game such as Tekken 3 and Planet Earth, it looks sharp and detailed. The Color is vivid, and there is no ghosting so far. However, the reflections from the screen can disturb the gaming experience. Thanks to the multiple ports, I can connect them to several devices and allow to get HD display from a smartphone, computer, and even old device. The sounds are excellent, however on higher volume, the quality is not too good, but it’s understandable. One of the best 4k gaming monitors, HP Spectre 32-inch 4K Studio Display LED-Lit Monitor having great capability to provide you all around monitor in affordable prices. 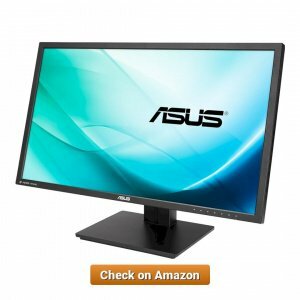 Equipped with multiple port and several features, you can enjoy this monitor even with an older computer or your smartphone. A great deal from HP for big sized LED monitor. Having trouble with your current Television? Or your current PC monitor is not able to accommodate your professional needs? You might want to purchase a brand-new monitor that have 4K capability and useful features. Therefore, today I introduce you to LG 27UD58-B 27-Inch 4K UHD IPS Monitor with FreeSync, monitor from one of the best electronic company from Korea. Check the review to know more about one of the best 4k professional monitors. LG 27UD58-B 27-Inch 4K UHD IPS Monitor is a real bargain. With the capability to provide you Ultra High Definition 4k and gaming mode this professional monitor, you will be able to improve your gaming experience. 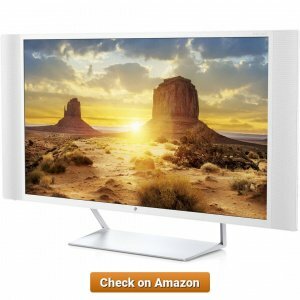 A nice entry level 4k monitor, this monitor has great color, especially around this price. Suitable for high definition gaming, sharp and crisp, the color is not half-hearted, truly glorious gaming monitor that can be used for professional gaming. LG 27UD58-B 27-Inch 4K UHD IPS Monitor is having an elegant design with a small bezel around the screen. The monitor attached to stand and mounted using simple mechanic and screw. With smooth curve and stabilizing base, this monitor looks versatile whether for gaming purpose or office professional purposes. Offers 4K UHD Gaming in 24 inches, the clarity and fine details of every game will amaze you. Playing game will be more immersing. Another big feature that allows you to experience fluid movement in the games is FreeSync. Eliminates any tearing and stuttering, FreeSync works to fill the gap between a graphics card’s frame rate and a monitor’s refresh rate. To make your gaming experience more optimal, there is three game mode you can use for this monitor, from First Person Shooter modes, Real-time strategy game mode and pre-set mode you can choose for the best experience. For you who play gaming seriously, you can quickly optimize your monitor by activating Black Stabilizer and Dynamic Action Sync for best gaming actions. LG also provides you with their latest version of LG screen split to allow you to do multitasking for gaming and any other activity simultaneously. To set this monitor, there is an on-screen control that easy to access. From setting volume, brightness, picture mode presets, and any other. You may also set Screen Split 2.0 and even Dual Controller with a few clicks of your mouse. This offer easy way to set monitor without any hard buttons. With two HDMI ports and one DisplayPort, you can use the LG Screen Split to connect two computer or gaming console simultaneously. This monitor also has 3.55mm audio input jack for a headset or speaker output. Specialized for gaming purposes, the game modes and black stabilizer are quite solid. All you need to do is activate those feature, and you can play any games with optimal screen setting instantly. The dual controller can connect two computer to one display easily, and you can efficiently swap between two displays. This will allow you to switch between gaming or between device without difficulty–a great monitor that offers you best way for multi-device gaming. While LG 27UD58-B 27-Inch 4K UHD IPS Monitor offers gaming specific features such as Games Modes, Black Stabilizer, on-screen control, screen split 2.0. Dual controller, this monitor can be used for the professional mode. This is a good monitor for gaming with a reasonable price you should consider! If you want to change your current monitor because it can’t accommodate your need anymore, then make sure to choose the best UHD monitors. 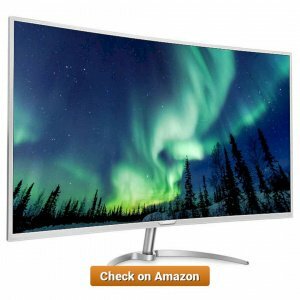 A good and great monitor will provide you best quality, great options on setting and features, and has reasonable prices. If you are looking for a 27-inch class TV with the 4K capability and professional features, then ViewSonic VP2780-4K 27-inch IPS 4K 2160p Pro Monitor HDMI, DisplayPort might be your answer. 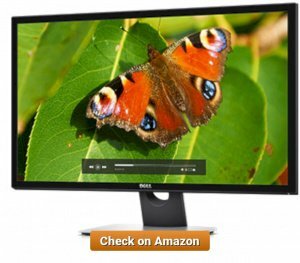 Here detailed information about this sophisticated monitor you need to know. Claimed to be the All-New Professional Series monitor, ViewSonic VP2780-4K 27-inch IPS 4K 2160p Pro Monitor HDMI, DisplayPort is the best options for you who focus on color applications and need stunning results. Capable of displaying more than 1.07 billion color and pre-calibrated Delta with more than 4.39 trillion colors palette, you can depend on the superior color accuracy and superb performance for professional usage. From content creation, graphic design, print, and professional design-oriented application can be done using this monitor for maximum comfort. ViewSonic VP2780-4K, 27-inch IPS, 4K 2160p Pro Monitor HDMI, DisplayPort design, is quite bland, boxy shape with a small bezel and sturdy base. This simple and elegant design allows you to place this monitor almost anywhere, from office, your room or even as living room television. Boosted with stunning Ultra HD Resolution, clarity, lifelike images. This ViewSonic monitor can produce real life and brilliant colors for professional and gaming usage. This monitor is also featuring Delta Color Accuracy that will provide you the best color consistently. If you want to tweak the color and gamma, there are EBU Preset and Gamma Corrections that allow you to tweak according to your professional needs. To support your professional activity, this monitor also has MultiPicture Functionality. You can view more than four video sources at Full HD 1080p resolution. This way, you can increase your productivity when designing something or even editing video easily. You don’t need to worry about the connectivity since ViewSonic VP2780-4K 27-inch IPS 4K 2160p Pro Monitor HDMI, DisplayPort have next-generation connectivity, from HDMI 2.0 and DisplayPort 1.2 to ensure smooth screen performance and vivid HD picture. Created for professional that require precise color and clarity, ViewSonic VP2780-4K 27-inch IPS 4K 2160p Pro Monitor HDMI, DisplayPort is easily displayed high clarity display even in split screen. You can use this monitor to play your favorite game easily. However, its maximum potential is at professional design work. 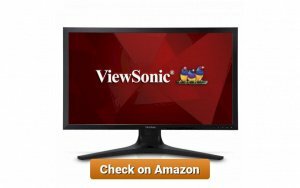 ViewSonic VP2780-4K, 27-inch IPS, 4K 2160p Pro Monitor HDMI, DisplayPort have unique and full ergonomic functionality to support professional activity. You can adjust your monitor in precise without flicker and any unpleasant light. You may also set up this monitor to connect several devices and view up to four video sources to allow you increased productivity and comfort for professional design activity. 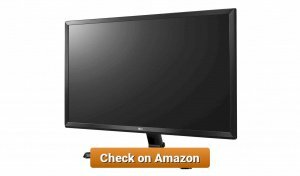 This monitor is the best monitor you can purchase for the low price and superb performance. Playing game is a serious business, especially when you are planning to be e-sport athlete in the future, a simple flicker or ghosting on your monitor can ruin your gaming performance. 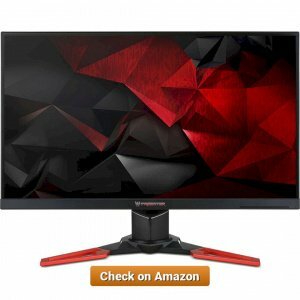 Therefore, you will need more powerful gaming monitor and get the best 4K LED-Lit monitors to ensure the best gaming experience and performance. Today, I will introduce you to the latest monitor from Acer that will turbocharge your gaming experience, Acer’s Predator XB271HK UHD Display. Check more information about this gaming monitor below. With tagline “Gaming Without Compromise” Acer Predator dedicated solely to improving gaming experience without compromising the quality. With stunning UHD 27-inch display and IPS panel, this monitor also featuring technology that allows screen tearing, protect your eye for long period and an ergonomic feature that allow you to play without fatigue. Acer’s Predator XB271HK UHD Display design is quite standard, square, and thin bezel with stunning look stand that stable and sturdy. To adjust the image, you can use the button below bottom bezels and adjust according to your need. The Acer ErgoStands allow you to pivot, tilt, swivel, move up or down, ensure perfect viewing angle for your gaming. The screen powered with UHD resolutions without any blind spot, this way gaming immersion is guaranteed and ensure you can smoothly go deep into the action. The best feature of this monitor is NVIDIA G-SYNC that will synchronize your monitor refresh rate with your powerful GPU. This way, any screen tearing, display stutter, and input lag will turn into the smooth gaming experience. Other features are EyeProtect’s Flicker-less that allows you to play game hours and hours without experiencing fatigue. Acer’s Predator XB271HK UHD Display also powered by two built-in 2W speakers with good quality to bring sophisticated sounds and huge explosions right in front of you. You may also tilt the monitor according to your need up to 90-degree rotation. To ensure no lag happens on your gaming experience, this high-end monitor has HDMI and Displayport, four high-speed USB 3.0 ports to connect any devices. You can connect your computer peripherals, smartphone, and any other portable device and use them easily. Acer EcoDisplay also allows you to reduce power consumption more than 68%, make this monitor save a lot of your electricity bills. Capable of elevating your gaming experience into 4K and smooth and fluid 60 fps performance easily. Playing high-end games in more detailed and sharper image that will allow you to enjoy a great game. There are no screen tearing or stuttering when this device attached to PS4; everything feels smoother and fantastic. You don’t need to tweak the setting too much to enjoy the great capability of this monitor. Acer’s Predator XB271HK UHD Display is the best gaming monitor with reasonable price. Specified for gaming activity, this monitor has a specific feature to ensure the performance is stable and sharp in every gaming activity. This is the best monitor you need for your gaming activity in affordable price and good size. Are you thinking to upgrade your monitor? As the demand arises, the best 4K monitors have been found all over the market. One of them is the Philips BDM4350UC. This 43-inch class IPS-LED monitor is an Ultra High Definition (UHD) monitor which will give accurate colors to your desktop. Speaking of accurate colors, designers, photo editors, and videographer would probably find Philips BDM4350UC as the best 4K monitors to deal with. It carries a 3840 x 2160 resolution with color supports of 1.07 billion pixels or 8-bits per subpixel. Simply to say, what you will get from Philips BDM4350UC is a crisp and clear image as if it has no grain or pixel at all. The vibrant color and light are also supported by the anti-glare system which will blend the light the monitor receives and balance it. The most noticeable appearance from Philips BDM4350UC is the large glossy screen. With an extremely mild anti-glare treatment, you don’t need to worry about light reflection on the screen. The monitor screen has bezel borders and has metal feet. Overall, the monitor might look more like a TV but with more capability. Nevertheless, the slender figure of the monitor would be a space saver on your desk. The question is, are 4K monitors really worth the money? Our answer is, yes. Since the 4K monitor displays more pixels, the details on your computer are displayed perfectly. Furthermore, eyes are closer to the monitor than to TV. This adds up the reason on why the 4K monitor is more reasonable than a 4K TV. On the other hand, most of the computer operating systems like Mac, Windows, Linux, and Chrome have already the capability to output 4K content – almost three times the standard output of 1080p. However, upgrading your monitor means you are upgrading your computer’s graphics card to get the best result. The 4k UHD monitor might as well be your companion in watching live streaming of football while checking on those monthly reports of yours. The Picture-In-Picture mode lets you have four programs collaboratively. This means, being productive while watching a movie is no longer impossible. Another special feature that has been brought by Philips is the SmartUniformity. The SmartUniformity will produce more accurate images and pictures. It has a color metric to reduce the fluctuations in color and brightness. 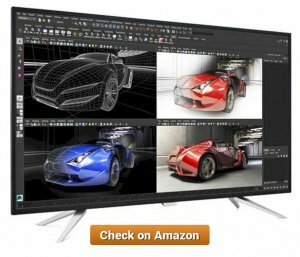 For those who are working with designs, images, and colors, this monitor would come as brilliant and helpful. To maximize your experience to the best 4K monitors, Philips also has SmartImage program. It has image presets such as office, photo, game, and movie mode. By analyzing the images, the SmartImage program will optimize the image setting from its contrast, sharpness, brightness, and color saturation. It even comes with the economy mode which offers a power saving mode. With HDMI, VGA, USB 3.0, and DisplayPort, Philips BDM4530UC introduces what they called as SmartConnect. Not only that, but Philips also has Mobile High-Definition Link which connects your other gadgets to the monitor. With this, you can now enjoy your mobile video, audio, games, and application in high definition big screen. The USB 3.0 port also works as chargers with a FastCharge feature. As the best 4K monitors in the market, Philips BDM4530UC will surely give you a visual experience you never get before. It is time to upgrade your Dell monitor! The new UltraSharp UP3216Q is a 31.5-inch screen LCD monitor from Dell. In the newest 4K features, Dell brings more precision and reliability in colors display. The monitor provides four color spaces that match 99.5% with Adobe RGB, 100% with sRGB, 100% with REC709, and 87% DCI-P3 coverage. With that kind of color accuracy, Dell UltraSharp UP3216Q is indeed suited for professionals. The Ultra High Definition monitor measures at 31.5 inches in diagonal and has a resolution of 3840 x 2160 pixels. The sleek design of Dell UltraSharp UP3216Q also holds an HDMI 2.0 port, four USB 3.0 ports, one SD card reader, DisplayPort, mini DisplayPort, a single upstream USB connector, and audio output. With that kind of versatility, Dell has brought another level of the best 4K gaming monitors. In the aesthetic side, this monitor has a black base and metallic color on the back side. Overall, the physical design of the monitor has a rather simple design since it focuses on the quality of the image on the screen. The Dell UltraSharp UP3216Q has a selection of movements despite the big size. The height can be adjusted as far as 90 mm, and it can be swiveled left and right. The screen can also tilt back and forward adjusting to your need. With 8.6 kg in weight, this Dell monitor is definitely lighter than other monitors in its class. Typical with Dell’s designs, the monitor is much sturdier and easier to place on any desk. Though the panel can be swiveled and tilted to a certain extent, the ultra-wide 178/178 degrees angle view would keep the color from distorting, resulting in a clearer and consistent view of your work. The device comes to your desk calibrated and ready to use in a sub-2.0 Delta E. However, Dell has a Zonal Color Space mode. This mode allows you to have different color spaces on both sides of the screen. This means different work would need a particular set of color contrast and consistency. The professionals at work would find the Zonal Color Space mode worth to try in finding the best color preset. Produced to serve various fields, Dell UltraSharp UP3216Q is set out to be the best 4K gaming monitors and also in the creative fields. Different modes for movies, games, designs, videos, pictures, and other entertainment are provided. Yet, all the modes have excellent performance to each setting. Another feature that Dell has is the Display Manager Easy Arrange which lets you organize several screens at a time so that you can balance out your works and entertainment. This means a tidier workspace and less time to finish. The one reason that Dell UltraSharp UP3216Q is that Dell has its Premium Panel Guarantee and Advanced Exchange Service. The 3-years limited warranty offers a free screen exchange even when you find only one defected pixel. With the high price of Dell UltraSharp UP3216Q, it seems that Dell does not want to let its customer worry about the product. As a customer, it only means you are buying the best quality monitor with the safest option. Although not particularly made for games, the colors and pixels offered by Dell UltraSharp UP3216Q are impressive enough to be used as the best 4K gaming monitors. Looking for a way to improve your computer experience? The technology of 4K monitors has been in the industry for a while. With the capability of four times resolution than the previous technology, the 4K monitors are for those who need to see more detailed, accurate, and consistent colors. 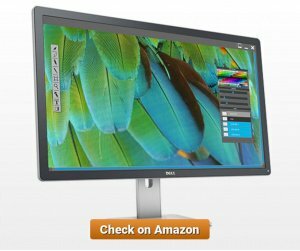 One of the best 4K professional monitors in the market is the Dell 4K S2817Qr 28-Inch screen LCD monitor. This is suitable for professionals who have an eye for details. In the creative field, contents like video, images, and photographs need to have persistent and accurate colors. With 4K monitors, it can be achieved easily especially with Dell 4K S2817Qr. With a 28-inch LCD screen, Dell offers value in visual performance that comes in a medium size. This is perfect for those who do not have that much of space for a 32-inch monitor. Unlike previous technology of monitors, you will barely see pixels in 4K monitors. Besides, Dell S2817Qr can present two contents on one screen at the same time. This is also supported by the versatile connectivity ports which can improve the way you work. Multitasking is no longer hard to do with one of the best 4K professional monitors from Dell. The viewing angle extends as far as 65 degrees from the center, and you would find a minor color change from it. Yet, this is not considered a negative side since no user would view a computer from the angle. As with previous design, Dell has been known for its simple yet elegant designs. The piano-black color offers a deluxe appearance for the monitor’s body, completed with thin bezels on the sides and matte finish on the screen. The matte finish is a great help to reduce the glare even in the brightest room. Not to mention that the robust design is also one of a plus in this Dell 4K monitor. On the metal finish stand, there’s a round hole for cables, so the appearance will be cleared out from any cable which will make it looks tidier. The 28-inch monitor holds two HDMI 2.0 ports, two USB 3.0 ports, DisplayPort, and mini DisplayPorts. With those connectivity ports, the Dell S2817Qr is the perfect choice when it comes to serious home, work, and game device. For the price of a 28-inch 4K monitor, Dell S2817Qr comes with two 9-watt built-in speakers. The powerful built-in speaker will surely add up its quality for home entertainment. However, compared to bigger versions of 4K monitors from Dell, the S2817Qr has less option in movement. Unlike other 4K monitors which can be swiveled, tilted, and adjusted in height, the S2817Qr can only be tilted to a certain extent. Dell offers an Advanced Exchange Service which comes with a standard 3-year limited hardware warranty. Even when you find one-pixel defect—whether it is a dead pixel or bright pixel—Dell is always reliable to change the screen panel. While on the 4th and 5th year, you can extend the warranty by buying the Extended Exchange Service. In summary, the Dell S2817Qr is one of the best 4K professional monitors for those who are working in depth with colors and images. The sleek design and size will make it easy to place just anywhere in the room. Philips has been known in the technology industry since 1891. Started in producing carbon-filament lamps, Philips now has the technology for almost every important field—from home appliances to healthcare. This year, Philips brings a brilliant top-end monitor with its BDM4037UW. The 40-inch monitor has a curved surface and is introduced as a professional home office monitor. With the sensible specification, Philips Brilliance BDM4037UW delivers an expansive view of your visual need in the best UHD monitors. Phillips is not only about quality, but also aesthetic. The minimalist design wrapped in warm white and matte gray colors makes the monitor looks even more elegant. It has a thin crescent-shaped pedestal, balancing with the curves of the monitor, which can be removed and replaced by a VESA mounting. With the pedestal, the monitor can be tilted backward and forward depending on user’s needs. Although it has less fancy details, the whole appearance of the monitor is functional and versatile. One minor negative side is the universal joystick for the on-screen option. It can become a waste of time to navigate through up to 90 different menus through the small square joystick. The connectivity involves two DisplayPort 1.2, two MHL-HDMI ports which consist of one HDMI 1.4 and one HDMI 2.0, four USB 3.0 ports, and one audio jack for sound input and output. Compared to other monitors in its league, Philips BDM4037UW has plenty of connectivity ports. Not to mention that one of the USB 3.0 ports are equipped with a fast-charging agent so that you can charge your other device or gadget while being connected. In addition to the brilliant design and performance, the monitor comes with two 5 watts speakers which would be adequate for home and office use. Overall, the curved screen and the audio deliver an immersion effect where you can focus more on the work you are doing on your computer. The TV-like design makes the Philips BDM4037UW comfortable enough for casual gaming and professional work. To begin with, Philips has SmartImage menu which makes the monitor capable of analyzing the screen optimization in regards to its contrast, brightness, sharpness, and saturation. If you are the kind of person who prefers to set it all manually, the SmartImage can be turned off or choose the display preset. The MultiView lets you control several display windows up to four monitors at a time. With the versatile connectivity, you can even set up two PCs in this monitor and use it at the same time if required. The large size is an effective way to split the screen without unseen area. As an 8-bit monitor, Philips BDM4037UW has a 10-bit dithering which only means more accurate color. If you are working with printed images, this might be insightful since a wider range of color should be on your list. 10-bit dithering can also mean that the monitor has a nearly 100% of Adobe RGB color. As one of the best UHD monitors in its class, Philips BDM4037UW is the best yet for still images especially for those who are working in photography or image editing. Some minor side of the monitor is that it doesn’t handle video as great as it handles images. However, the overall capability of Philips BDM4037UW makes it worthy to choose as the best UHD monitors for home office use. For those who are working with computers, eye care is indeed important. Long working hours in front of the screen can lead to eye fatigue, eye strain, and even myopia and astigmatism. There are monitor screens or special eyeglasses that are made to reduce the risk. Still, monitors are doing harm to your eyes especially when used in a long duration. To deal with it, ASUS offers a technology that emits harmless brightness and radiation from the monitor. The monitor comes in 28-inch in size, perfect for your desktop. As an Ultra High Definition monitor, ASUS PB287Q delivers approximately 157 pixels per inch in 10-bit quality. With its 10-bit quality, the monitor has an almost 100% match with Adobe RGB color quality. This means the image and text displayed on the screen have more accurate and consistent colors. As powered by the LED backlight, screen panels are constantly flickering rapidly between on and off especially when the screen is adjusting brightness and contrast automatically. This flicker causes a different level of brightness towards the eye, and this is what causes eye fatigue and strain. With ASUS monitor, the cycle of LED backlight does not flicker and uses Smart Dynamic Backlight Adjustment instead. This causes less harm to the eyes when you are in front of the screen. Undoubtedly, ASUS has been a pioneer in the best 4K LED-lit monitors with Flicker-Free technology. Another EyeCare system from ASUS is the Low Blue Light Filters. The blue light radiated from the screen has been the cause of numerous problems for those who are working in front of the computer screen. Problems such as eye fatigue, eye strain, sleep disorder, and headache are often found in those who spend much time facing computer monitor. ASUS PB287Q has four different filters that can save you from dangerous monitor radiation so that you can get more protection for your eyes. ASUS has been known for its robust design and PB287Q is no exception. It has simple lines with black color covering most of the surface. The ergonomic stand holds the monitor steadily. It can be tilted and swiveled to a certain extent. One of the features that are rarely shown on other 4K monitors is the ability to turn to portrait position. With that kind of flexibility, every user can find their ideal viewing point. With two HDMI 1.4 ports and one DisplayPort 1.2, ASUS brings back simplicity through this monitor. However, the PB287Q has no USB port in sight, so you need to rely on your PC for USB connection. ASUS PB287Q produces excellent image clarity and video movement—thanks to its 1-millisecond response time and 60Hz refresh rate. This particular quality has taken ASUS PB287Q as one of the best LED-lit monitors out there. To obtain the best experience of multitasking, ASUS also has Picture-in-Picture and Picture-by-Picture options. Overall, ASUS PB287Q has an affordable price yet has superior specification compared to other 28-inch monitors. With averagely less costly price than other monitors in its class, ASUS PB287Q 4K UHD monitor is a valuable choice to get the best quality.